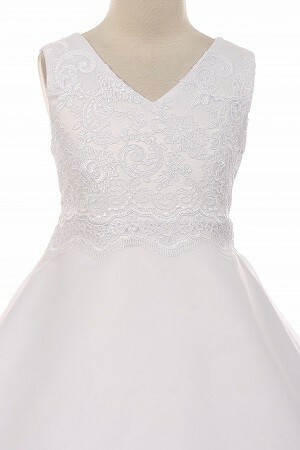 This dress is also available in ivory. 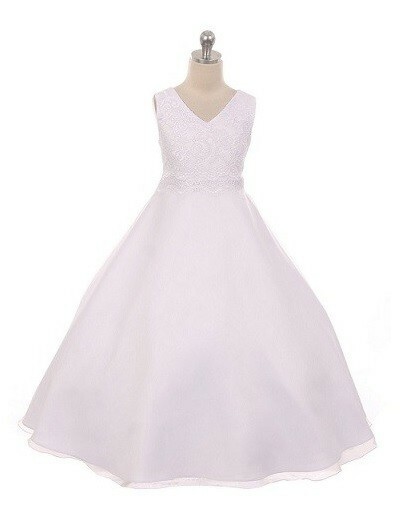 Sleeveless satin, organza overlay full length A-line dress with elegant lace appliqué on V-neck bodice. Organza sash in the back to tighten. 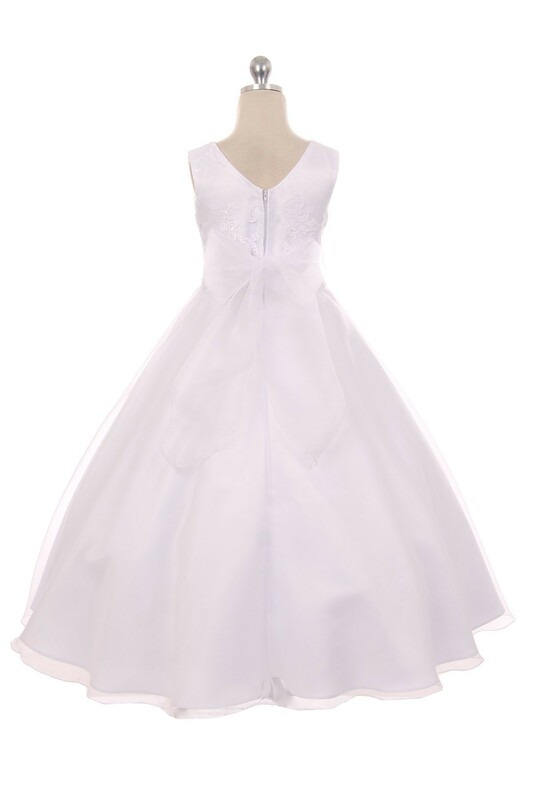 This lovely dress is perfect as a flower girl dress, white sunday or first holy communion dress.